When Apple speaks to developers next week at its Worldwide Developer Conference, pay close attention to what the company says about two key areas: augmented reality and digital health. The bottom line: As Axios first reported in January, Apple has delayed some features originally planned for this year's iOS and Mac OS updates to focus on improving the reliability of its software. Still, the areas where Apple is investing are key to its future success. Augmented reality is an area that Apple CEO Tim Cook believes strongly in and where Apple is investing heavily to be a leader. It added AR capabilities in last year's iPhone hardware and software and is expected to do more throughout 2018. On health, Apple has been working on the area in two ways. One is technology that helps people exercise more, access their medical records, etc. The other relates to well being — that is, healthfully using its tech products. Google talked up such features for Android at its developer conference last month, and Bloomberg reports that Apple will do the same on Monday. Apple has also been working to improve the degree to which parents can control the settings on devices used by their kids. Be smart: Apple, like its competitors, is scrambling to get on the right side of public opinion and demonstrate that it is not a digital-addiction-peddling, privacy-invading corporate monster. Since it's less in the business of profiting from user data, it stands to be in a better position than Facebook and Google in this regard. 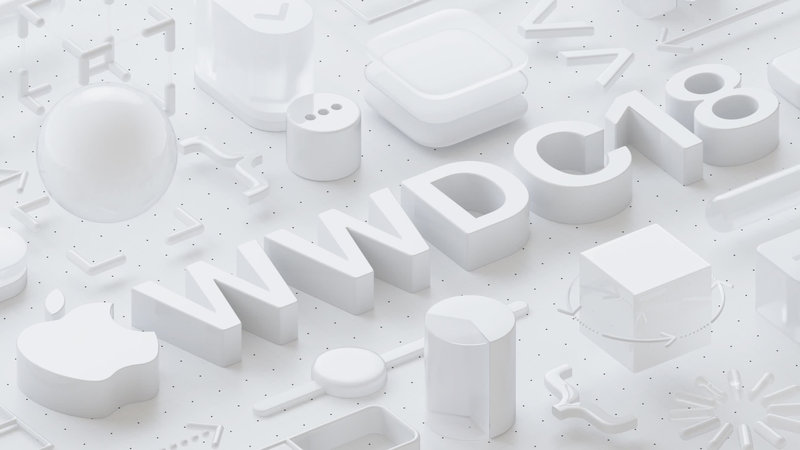 What to expect: Apple almost always uses its developer conference to introduce new versions of its Mac and iPhone operating systems and this year should be no exception. What not to expect: A lot of new hardware. Apple often has some new hardware and could well have new accessories or even a new Mac at the show, but this isn't the time or place Apple makes big consumer product introductions. What else? Apple promised last year that it would introduce its own wireless charging system, dubbed AirPower, to charge multiple Apple products but we have yet to hear about that. And, no word on whether Apple will solve this. The practicalities: The WWDC runs all next week in San Jose, Calif. All the announcements, though, tend to come in the opening keynote, which is the only part typically open to reporters.